Dental veneers are thin, custom-made sheaths that cover the front of your teeth. They are a simple, yet long-lasting and beautiful solution for many cosmetic problems. Hollywood stars often use veneers so that they can flash those breathtaking smiles. With more than 20 years experience in making veneers Dr. Kardaris knows how to make you just such a smile. Dr. Kardaris uses top-of-the-line Empress® porcelain veneers that are well known for their strength as well as their beauty. Using porcelain Dr. Kardaris is able to design veneers that are natural and complement your facial features. The other advantage of porcelain veneers is that they are strong and can withstand normal every day wear and tear. Dr. Kardaris even offers a five-year guarantee for porcelain veneers! To find out whether veneers are a good solution for you, take advantage of our complimentary cosmetic consultation. Dr. Kardaris picks a shade for your veneers that matches your natural teeth. 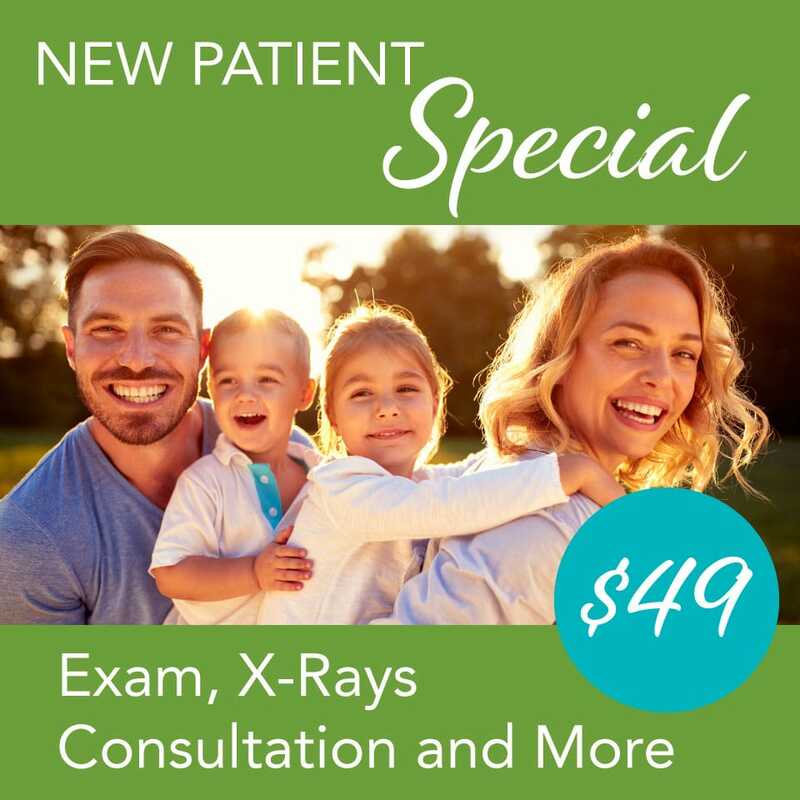 After your consultation, designing your smile begins. 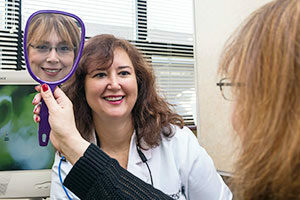 Dr. Kardaris will show you her smile book so you can pick the smile you want. She will help you to find one that would suit your face and personality. With a shade guide you can also pick out the exact shade that you want for your new teeth. Using digital photos, a preliminary design is made and you will see a virtual smile demonstrated on a computer screen. Once you are happy with your design, Dr. Kardaris makes a wax-up model of your teeth so you can see what your smile will look like. 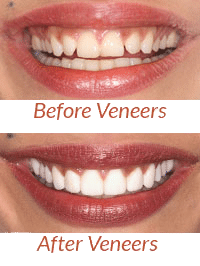 Any changes are made, and once you are completely happy with the design, instructions are sent to the cosmetic lab where your veneers will be made. You will then need a couple of appointments to fit and place your veneers to make sure they are perfect. Dental bonding, or chairside veneers, are an affordable alternative to porcelain veneers. A more economical alternative to porcelain veneers are chairside veneers. These are done in one appointment and are a simple solution for minor chips and cracks. Dr. Kardaris uses tooth-colored dental resin which is applied to the teeth. It is then hardened with an ultra-violet light and polished to match your teeth. 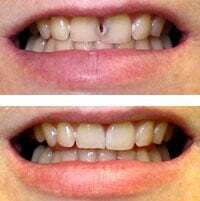 These veneers are less durable than porcelain veneers and it is not possible to achieve the same translucency and shade.